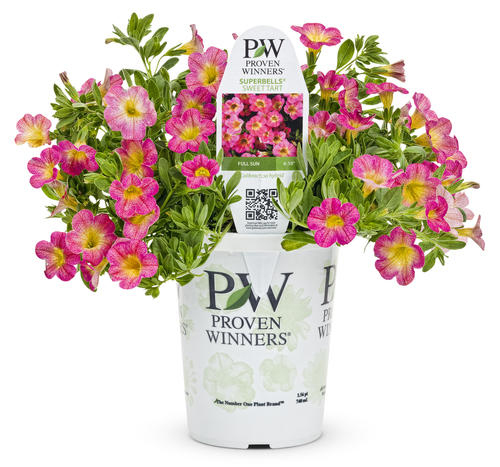 The Proven Winners® white branded containers stand out. And you can see why. From its distinctive color and branding, to its innovative tag design and technology, it's a powerful package for growers and retailers. And for consumers, it's hard to resist because they know it means quality. Prices are effective July 1, 2018. Prices are subject to change. Prices are in U.S. Dollars. Discount or Terms: We offer an Early Order Terms Program of 2% 10, Net 3/1/19 for all orders placed by October 15, 2018, which we can ship 'as soon as available'. If product is available for early shipment but cannot be taken early, the delivery date will revert to the date originally requested on the order and standard net 30 terms will apply. Note - this offer applies only to containers produced by H.C. Companies/Dillen and excludes Proven Winners ColorChoice containers and orders paid by credit card. All orders are invoiced by your preferred H.C. Companies/Dillen distributor, or if you have no preference, one will be selected by H.C./Dillen. Distributors will honor prices listed above. Minimum order is one case. All containers listed above are available as standard inventory items with a pre-printed UPC code. Containers are also available as standard inventory items without a UPC code (the UPC print area is left blank) with the exception of the 1.0 QT container with a Proven Selections logo, the 6.50 container with a Proven Selection logo, and the 8.50 Jumbo container with either logo. All other UPC configurations, including adding your own UPC code, can be printed at no additional cost with a minimum order of 25,000 containers (per each UPC, per container size), or for minimum orders of 10,000 containers for an additional set up charge of $360.00 per item. Use the quantities listed above to determine prices. Additionally, the Proven Winners address is printed on all standard inventory items. Removing the Proven Winners address and/or substituting your own address is considered a special order. Except #2 above, all prices are for payment in 30 days from date of invoice. Requests for terms beyond 30 days allows the distributor to renegotiate prices to cover carrying costs.